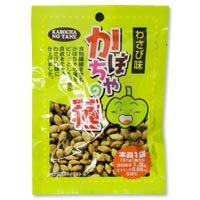 Crispy pumpkin seeds with a rich flavor of wasabi (Japanese horseradish). Please enjoy its savory and spicy wasabi flavor spreading in your mouth. It is suitable for beer.